Many years ago, my husband worked for the sandwich chain Togo’s. Although I’m sure the actual recipe is probably proprietary and locked in some vault somewhere next to KFC’s secret blend of eleven herbs and spices, he has come up with his own Togo’s chili cheater recipe that rivals the real deal. 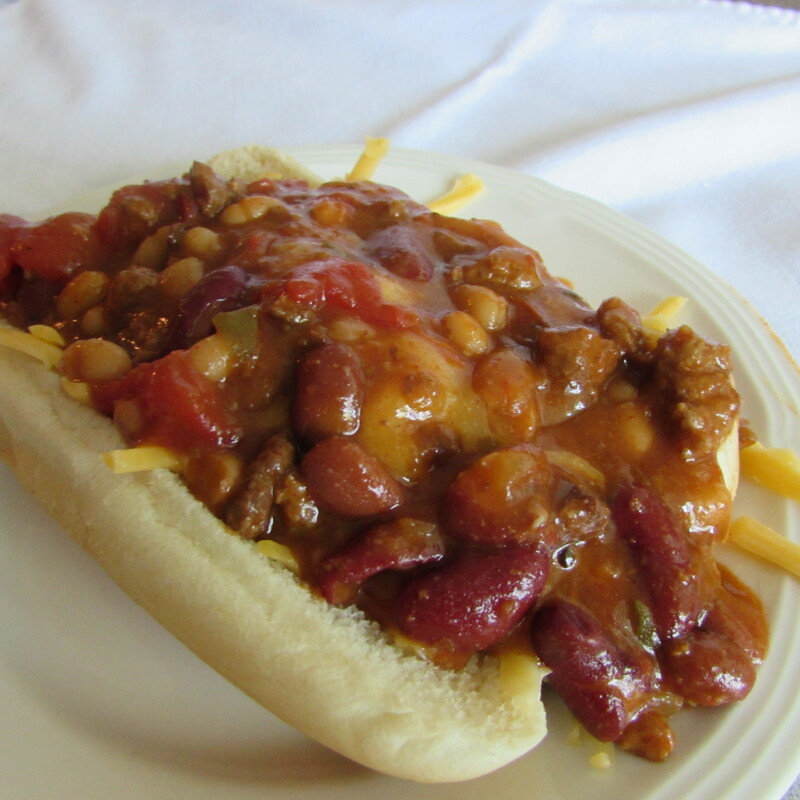 Good on its own, over rice or on top of a hot dog, this hearty and simple recipe will keep you warm on a cold night. This would also be a great recipe to throw in your crockpot for an easy meal when you get home from work. In a large pot on medium heat, combine all ingredients and cook until hot. Turn heat to low and simmer for as long as you like, stirring occasionally. Tags: cheater chili, chili, crockpot chili, food, make ahead dinner, quick chili, quick dinner, togo's chili cheater recipe, togo's chili recipe, with images. Bookmark the permalink.